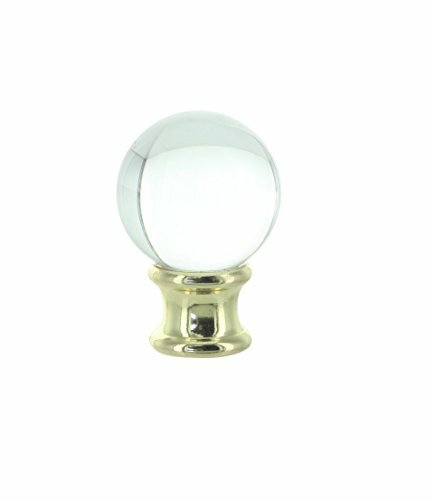 This beautiful GLASS orb finial is complemented with a polished brass base. Easily attaches to a standard harp with a threaded stud. Adds a lovely decorative touch to your lampshades. If you have any questions about this product by Upgradelights, contact us by completing and submitting the form below. If you are looking for a specif part number, please include it with your message.